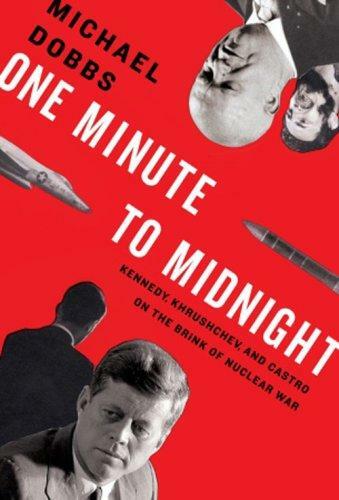 takes us inside the White House and the Kremlin as Kennedy and Khrushchev—rational, intelligent men separated by an ocean of ideological suspicion—agonize over the possibility of war. He shows how these two leaders recognized the terrifying realities of the nuclear age while Castro—never swayed by conventional political considerations—demonstrated the messianic ambition of a man selected by history for a unique mission. As the story unfolds, Dobbs brings us onto the decks of American ships patrolling Cuba; inside sweltering Soviet submarines and missile units as they ready their warheads; and onto the streets of Miami, where anti-Castro exiles plot the dictator’s overthrow.Based on exhaustive new research and told in breathtaking prose, here is a riveting account of history’s most dangerous hours, full of lessons for our time.